How one of music’s greatest voices forged a path from teen idol to avant-garde combatant. 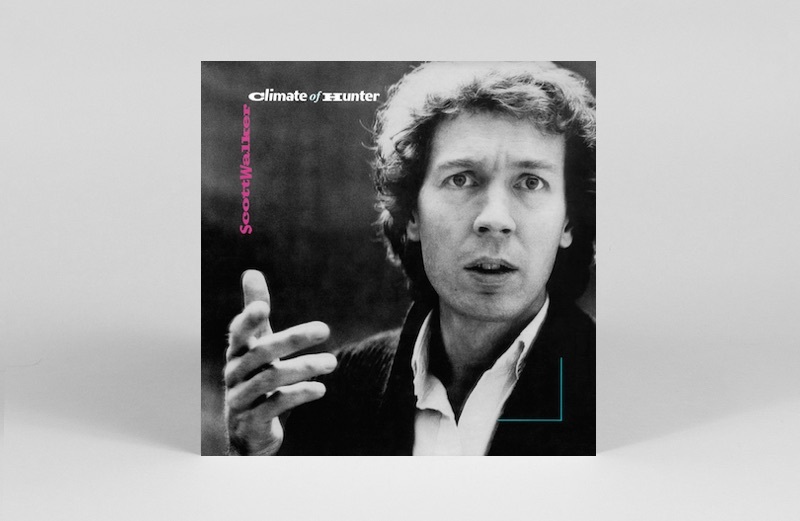 One of this month’s Albert Hall Proms is the unexpected The Songs of Scott Walker (1967–70), as the likes of John Grant, Susanne Sundfors and Jarvis Cocker are set to resuscitate a sound and vision that its own creator has long refused to. For Walker, it’s an era when he let go of The Walker Brothers, the moodily handsome US trio that adopted the same surname and Beatles-y bowl haircuts and enjoyed an incredible surge of fame in the mid-‘60s with a string of memorable melodramas, to pursue a singular, brave sound and vision that many – Bowie, Eno and Radiohead among them – claimed was a major influence. An elegant grandiosity, a kind of gothic lite, all angst and orchestras, an American who preferring the sound of Europe – cabaret, chanson, pop shorn of R&B and rock’n’roll cliché, iced by a sonorous, velvet baritone, became one of popular music’s greatest voices. When solo success tailed off, an even more depressed Walker sought refuge in cover versions across showtunes, singer-songwriter and Nashville before a Walker Bros reunion that spluttered out, just the one hit single to the good. This initiated Walker’s pattern of periodic ‘comebacks’ – solo albums in 1984, 1995, 2006 and 2012, with the odd intervening film soundtrack. 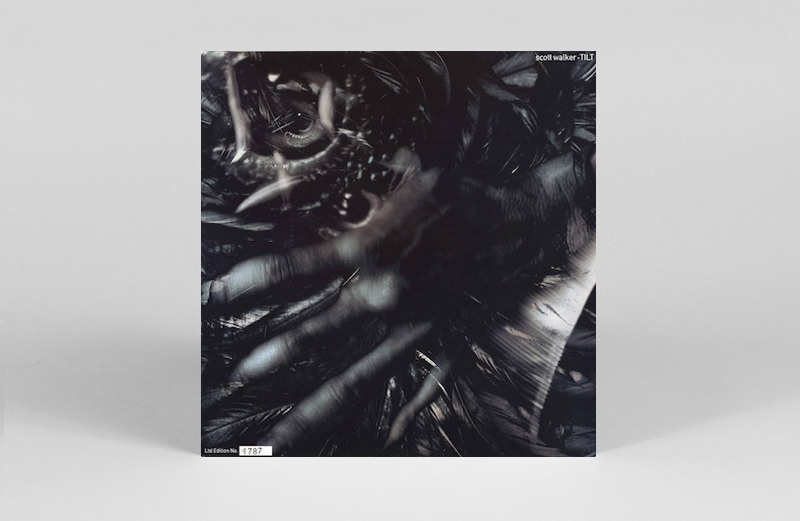 But notably, each record has travelled further out into an experimental, filmic sphere, drawing on industrial, operatic and musique concrète traditions, barely registering a tune that could be hummed, let alone blasted out as the Proms show will be doing. 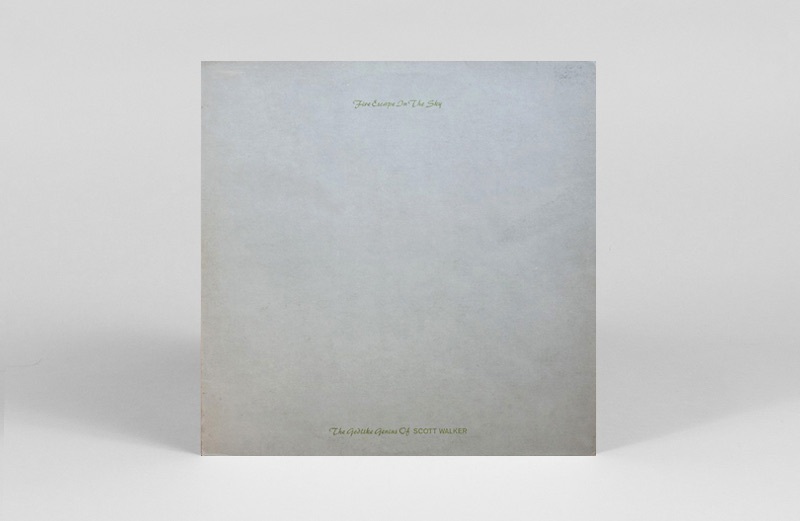 The path from teen idol to avant-garde combatant, from 1967’s three-minute singles ‘Jackie’ and ‘Joanna’ to 2012’s ten-minute album tracks ‘Corps De Blah’ and ‘Epizootics’, has been unique, fascinating and scenic. Some views are magnificent, others distressing or mystifying, but never dull. Here are ten signposts to guide the way. Walker was born Noel Scott Engel, and in his early singing years was styled as a Paul Anka-wannabe (songs about ‘Young Love’ et al: many cash-in compilations exist but don’t bother) before he joined The Walker Brothers, avatars of booming, Spector-ish romance: ‘My Ship Is Coming In’, ‘Make It Easy On Yourself’, ‘The Sun Ain’t Gonna Shine Any More’. 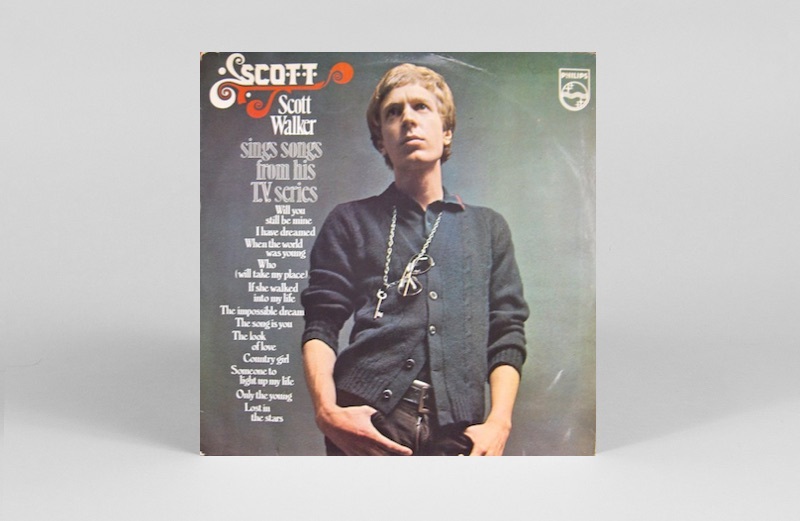 But Scott wanted to write his own songs, and in ‘Archangel’ and ‘Mrs Murphy’, he had the prototypes for his solo career, thematically influenced by the lusty, satirical and anguished songs of Belgian firebrand Jacques Brel. Already an outsider by dint of living in London, Walker was more at home close enough to Europe, the source of the existential literature and cinema he craved. It fed his portraits of society’s outsiders and rejects (socially, sexually, romantically) in a clearly un-swinging enclave of sixties London during the so-called Summer Of Love. The music, meanwhile, was cavernous, like the Walker Brothers sound stripped down, yet no less orchestral (timpani included), and tinged too with the cushioned MOR sound that he was simultaneously plagued by. Among the ballads (Scott’s default setting), there was an early sign of country flavours (a cover of Tim Hardin’s ‘The Lady Came from Baltimore’), a bit of film-theme schmaltz and English translations of energising Brel classics ‘Mathilde’, ‘My Death’ and ‘Amsterdam’. 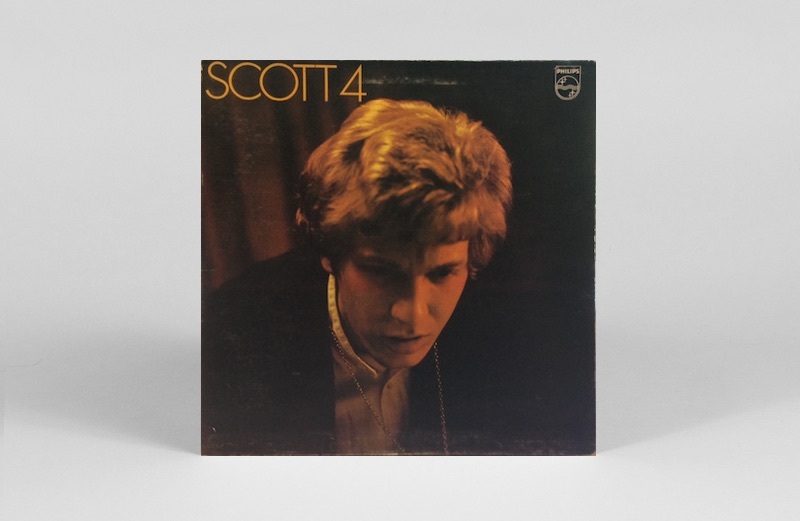 The mood is torrid and gorgeous, tortured and tuneful: no one else sounded this way, and no one else had that voice, while Scott originals on his solo album debut ‘Montague Terrace (In Blue)’ and ‘Such A Small Love’ showed he had mastered songwriting too. Scott 2 included some fine originals (‘The Amorous Humphrey Plugg’, ‘Plastic Palace People’) and charged Brel covers (‘Jackie’, ‘Next’) but there was too much MOR filler. But his third solo album removed the MOR, leaving room for three more Brel covers and, more importantly, ten originals. Among them, ‘We Came Through’ is a rare Brel-influenced gallop and ‘30th Century Man’ an equally rare mid-tempo acoustic strummer. But the majority glide through, sad and serene, such as ‘It’s Raining Today’, ’Two Weeks Since You’ve Gone’ and my all-time Scott fave, ‘Big Louise’, an especially poignant elegy to an ageing transvestite. It’s Scott’s personal favourite from this era too, he said: “The arrangement, melody, colouring – everything worked out exactly as I pictured it.” In this, he was fortunate to have Angela Morley (formerly Wally Stott), whose sublime orchestrations on Walker’s early solo albums – tapping classical periods from the 18th through to the 20th century, with interwoven ‘light entertainment’ MOR motifs – gave the singer the necessary mood enhancements to realise his dramatic vision. Presumably a compromise for shunting off the MOR material from Scott 3 was this studio rendition of songs Walker sang in his BBC TV series (tragically, the only surviving evidence is audio, as the BBC routinely wiped footage in those days, due to the cost of tape and storage), which indicates how highly he was thought of: after all, Scott 2 and Scott 3 had both topped the UK charts. So, if you want to know how the other half of Scott lived, here’s your chance – ‘The Impossible Dream’, ‘The Look Of Love’, ‘If She Walked Into My Life’… Yet it’s easy to enjoy a kitsch-romantic wallow, and some songs are great – the midnight-cabaret mood of Kurt Weill’s ‘Lost In The Stars’, the perennial beauty ‘When The World Was Young’. Released in the same year as Scott 3, Scott 4 was MOR and Brel-free, namely only original songs. The opening ‘The Seventh Seal’ was based on Ingmar Bergman’s film, about a knight playing chess with Death; ‘The Old Man’s Back Again’ was subtitled ‘Dedicated to the Neo-Stalinist Regime’. ‘Angels of Ashes’, ‘Boy Child’ and the less-decorated ‘Duchess’ and ‘Rhymes of Goodbye’ are among his best songs: it’s an impeccable record. But Walker released it under his real name, Scott Engel, and the public reaction was so fickle – or they’d had enough of Scott on record – that it didn’t chart at all. From hero to zero: how defeating. Walker made a compromise: 1970’s ‘Til The Band Comes In was ten originals, and five MOR covers stuck on the end. It’s a flawed and underrated record, rightly criticised and unfairly maligned. I love the elegant jazzy heat of ‘Joe’ and ‘Time Operator’ – both of which have an MOR sheen – and ‘Thanks for Chicago Mr. James’ is one of Walker’s best pop songs (though the ‘gay sugar daddy’ theme could have upset radio programmers had it been released as a single). By 1973’s Any Day Now, Walker had given up the fight: he loved modern classical music, the be-bop jazz giants, Brels’ coruscating energy and observations, but the only way to handle it was to walk away; and so he didn’t release an original song for another six years, and he hid in the plain sight of singer-songwriter covers – in other words, it was his first ‘Seventies’ record. Some choices were sappy (Bread’s ‘If’), others inspired (Randy Newman’s ‘Cowboy’). Either way, it reeked of going-through-the-motions, his leaden interpretations on top of bland, sub-Nashville arrangements. 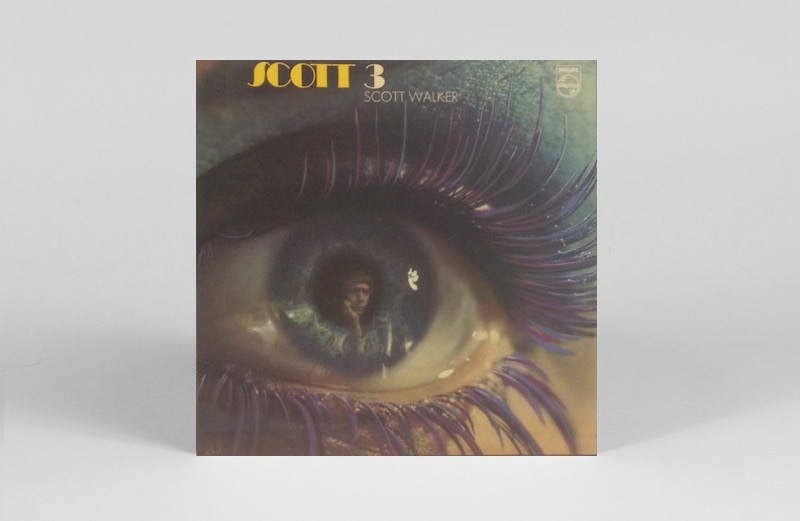 Years later, Walker blocked the CD re-release, yet he allowed through 1973’s second Walker album, Stretch (after Scott’s nickname), this time more of a solid track selection (songs by Newman, Jimmy Webb, Micky Newbury, Carole King and Gerry Goffin), but no less depressing, as Scott phoned it in. Next up was (irony alert) We Had It All, more bloody covers, but it’s Scott’s first outright country music record – four songs were written by Texan Billy Joe Shaver, and there’s room for The Eagles’ ‘What Ever Happened to Saturday Night?’. Or, whatever happened to Scott Walker? But in the right mood, aligned to a fine melody, that gorgeous voice just kills. Walker capitulated to the earning power of a Walker Brothers reunion, which lasted three albums – No Regrets (the country-ish title track was a UK No. 7), Lines and Nite Flights – the last a do-or-die statement, where each Walker wrote songs – but only Scott’s were up to the task, and they were magnificently doomy, taut and different, more of a piece with Bowie’s Low/Heroes era. ‘The Electrician’, about political torture, was even released as a single, but not even Bowie’s vocal patronage helped it sell. The Walkers split again, and Scott went to ground – but then came a most unexpected revival, nothing Scott was involved in, but from über-fan Julian Cope of The Teardrop Explodes (via Liverpool indie Zoo), who compiled 12 of Scott’s originals from the 1967-70 era, named after a phrase from Scott 3’s ‘Big Louise’. By 1981, Walker was buried treasure, given the Walker Brothers shadow that hung over him, his stage retirement and the commercial failures through the ‘70s, but when his greatest songs (Cope’s choices were immaculate) were aligned, the godlike genius of Scott Walker – his sad, strange, complex and lonely genius – was plain to hear. It chimed more with the post-punk, Bowie-influenced mindset, and the album reached no. 14 in the indie charts. You won’t find it on CD, as all future CD reissues came from Walker’s original label, Phillips, but you can find the vinyl for under £20. 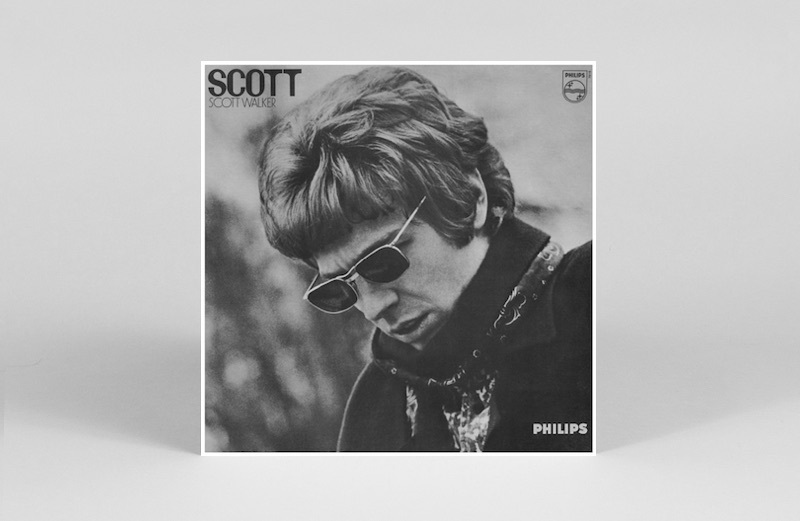 Phillips quickly released Scott Walker Sings Jacques Brel, and then the pointless The Best Of Scott Walker, a hotchpotch of originals and MOR/Brel covers. But Cope’s influence lingered, and Virgin Records funded, Walker’s first new solo album in ten years, and the first with his own songs in 14. It expanded the elliptical mood and taut drama of his Nite Flights songs, with some (relatively pared-back) orchestral arrangements, and a comparably rich feel to those seeking some 1967-70 consolation. The rockiest track (complete with squealing guitar solo), ‘Track Three’ was released as a single – a video was made, and Walker was even interviewed on Channel 4’s music weekly The Tube – he’s alive! Sadly, sales were dead. After Virgin let Walker go, Walker let himself go; he reputedly passed the time playing darts in the pub, studying and reading, and presumably lived on royalties: Philips (now Polygram) released Boy Child: The Best of Scott Walker 1967-1970 (and The Walker Brothers compilation After the Lights Go Out: The Best of 1965–1967) in 1990. 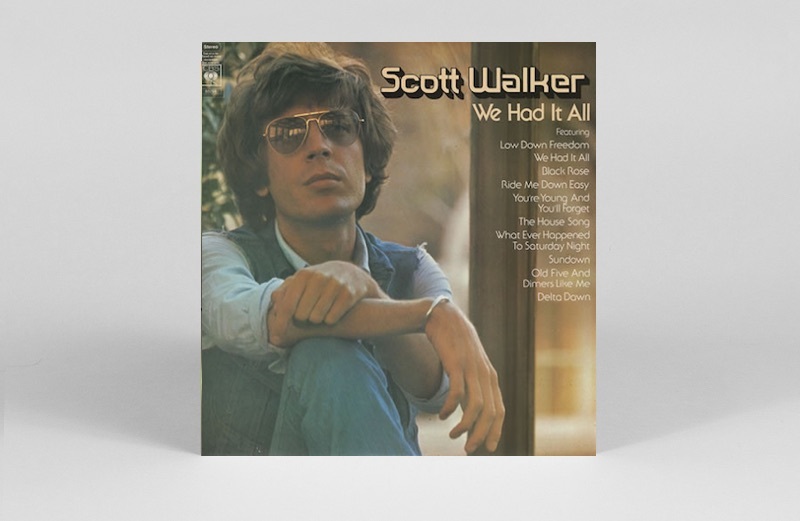 No Regrets – The Best of Scott Walker and The Walker Brothers 1965–1976 followed in 1992. Walker had also made the briefest appearance in a TV ad for the soft drink Britvic, alongside other ‘swinging sixties’ pop stars (well, it was preferable to some hoary old MOR cover). Then, in 1993, he broke cover by writing the lyric for, and recording, ‘Man From Reno’, written by Balkan composer Goran Bregović for the 1993 French film comedy Toxic Affair. Enigmatic man, that Scott Walker. Finally, the enigma returned with Tilt, his first new album in 12 years, for with Polygram imprint Fontana, which upped the ante. The opening ‘Farmer In The City’ was something like 1967-70 crossed with Climate Of Hunter, then tilted on its axis, looking toward outer space; it’s epic, magnificent, surreal: “Do I hear 21, 21, 21…” No clear narratives here, and sounds that were suggested by the lyrics. Walker had little need for melody thereafter, taking a more collage-based approach: manic, impressionistic, intense, bleak, frequently beautiful – especially ‘Patriot (A Single)’. It was hard going if you weren’t prepared, and challenging even if you were. Dissonant slabs, clanking percussion, hollered voices, ghostly details; disassociated imagery; it was almost as if Walker was seeking revenge on everyone who thought – “‘Farmer In The City’, the old man’s back!” But actually, the old man had turned into James Joyce, with the musical ambitions of Messiaen. Evidently, the 1967-70 was a compromise, or the sound of a young man, who his older counterpart had no time for anymore. If art is about truth, then this was Scott Engel’s. 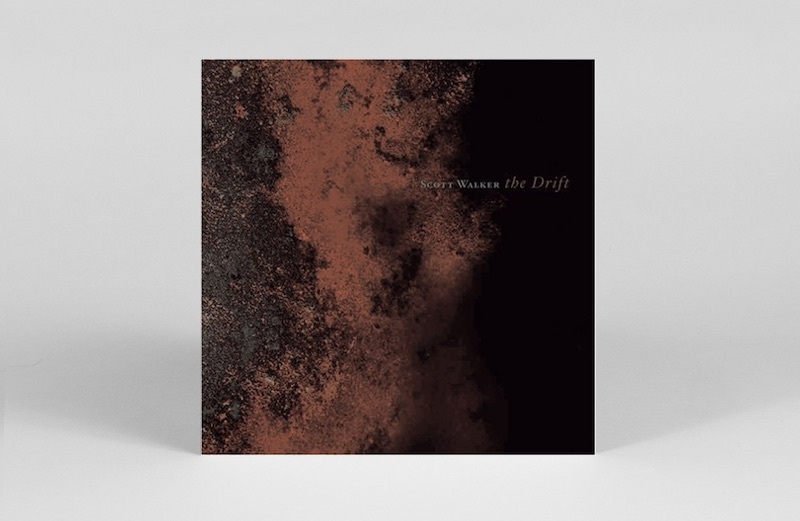 On Spotify, The Drift is followed by no less than six repackages of Walker’s teen-rock’n’roll phrase, as if someone was willing him to regress as far from ‘Jesse’ and ‘Clara’ as possible, even beyond ‘Jacky’ and ‘Joanna’, to a place of innocence. Walker actually followed The Drift with the film soundtrack And Who Shall Go To The Ball And What Shall Go to The Ball, as befits a writer who was composing sonic images more than songs, and then 2012’s Bish Bosch (that’s four song-based albums in 34 years), the last part of a trilogy after Tilt and The Drift, he said, which stripped out some of the last two albums’ density. In any case, when one track is a remote, eerie 21-minute treatise called ‘SDSS1416+13B (Zercon, A Flagpole Sitter)’, where else could Walker go? Indeed, the next move was a surprise collaboration with slo-core guitar-chestra Sunn O)))), with the opening ‘Brando (Dwellers On The Bluff)’ emulating the soaring, hint-of-a-tune ‘Farmer In The City’. 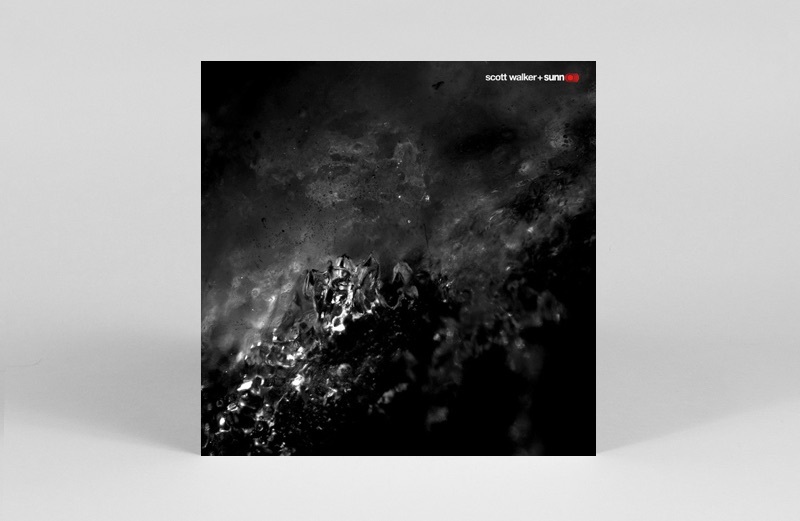 Even when Walker reverted to a more operatic monotone on the 13-minute ‘Herod 2014’, Sunn O)))’s ambient-doomy backdrop was more cohesive than scattershot, and even when the music resembled the hum of machinery, Soused was the most accessible entry to Walker since Climate Of Hunter, 21 years earlier. In 2016, Walker delivered the tense, edgy orchestral score (equal parts Jonny Greenwood and Psycho composer Bernard Herrmann) to The Childhood Of A Leader, which addressed the fictional rise of a fascist, so our Scott doesn’t appear done with the subject. The way the world has kept turning since doesn’t suggest he’ll detour or U-turn any time soon; but if Walker’s concept of truth and integrity won’t allow him to go back, he’s at least given his blessing for others to ascend that fire escape in the sky.